Edward Wilson is remembered as the artist of the British Antarctic Expedition of 1910-1912, led by Captain Robert Falcon Scott. The "Terra Nova" sailed via Madeira, South Trinidad, South Africa and Australia, to New Zealand; from where she set sail for the Antarctic on 24 January 1911. During the expedition Wilson studied and drew biological specimens, and made finished watercolours. The expedition reached the South Pole on 17 January 1912 after a journey of nearly a year. On the return journey the expedition hit unseasonably bad weather and Wilson died along with team members Scott and Bowers on 29 March. The specimens, diaries and sketchbooks were recovered by the search party the following Spring. It is probable that Edward Wilson's place in the history of art is as the last major painter of exploration art, an art form largely created by the fusion of science, cartography and art by William Hodges who had accompanied Captain Cook's second expedition from 1772-75. Hodges' work had been admired by Turner who was in turn admired by Wilson. With the death of Wilson, the major media for recording feats of exploration passed primarily to photography and film and the aesthetic technique and vision was subsumed. Edward Wilson drew all his life, collecting his drawings into indexed volumes he called his "stock in trade". 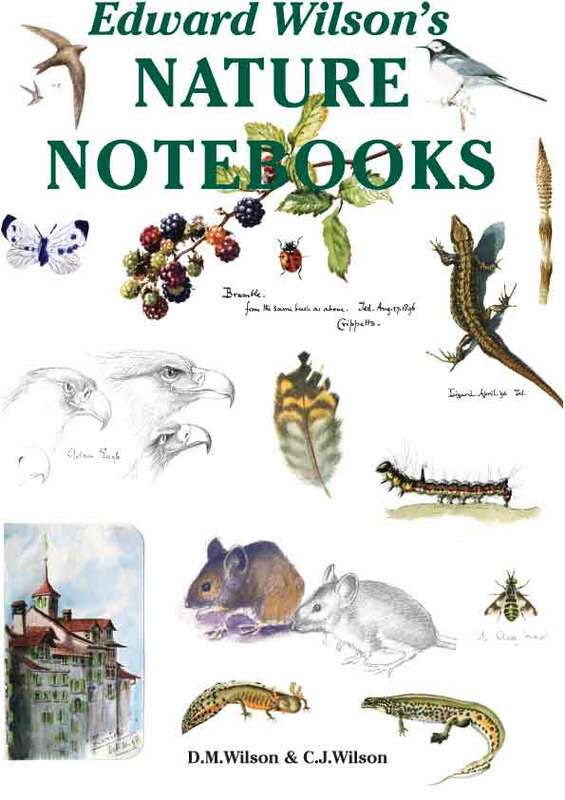 He used them as the basis for his illustrations of Barrett-Hamilton's "A History of British Mammals", and started to use them for illustrating W. Eagle Clarke's "A History of British Birds", a cancelled publication. After his death, his wife, Oriana, arranged the notebooks and distributed many of them amongst the family. 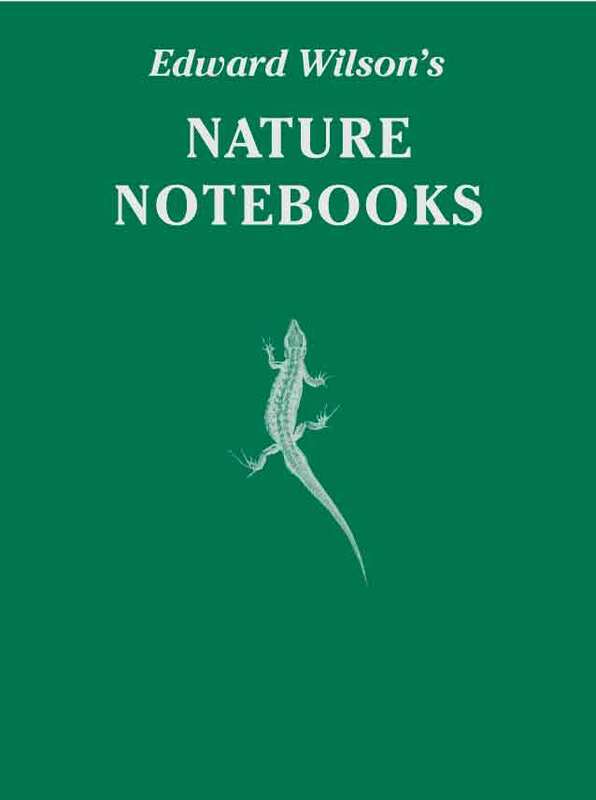 Two books - the "Nature Notebooks" were given to his nephew, Michael Wilson, whose sons have edited this volume. 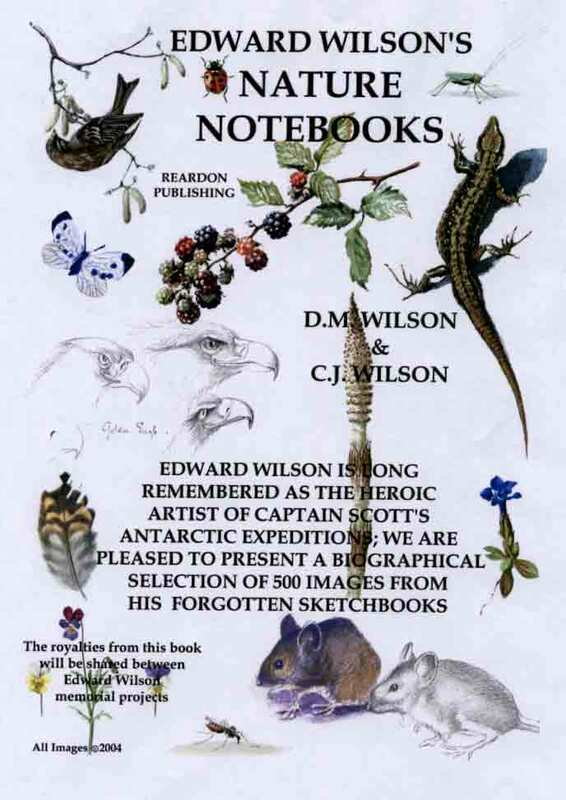 It contains the bulk of Edward Wilson's non-Antarctic work - from the Notebooks and other sources - reproduced here in chronological order, showing his development as an artist. There is also a selection of quotations from the Notebooks' observations and annotations, in keeping with the scrapbook flavour of many of the pages. 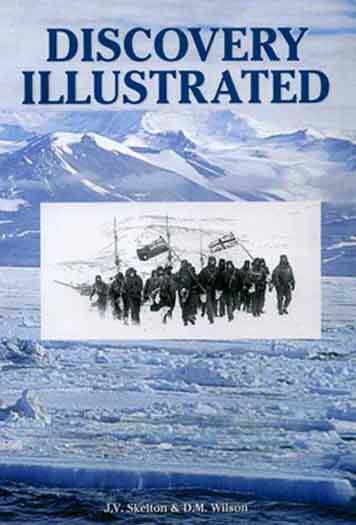 Additionally, there is a short biography at the start of each chapter, concentrating on his scientific and artistic progress, and a selection of the Antarctic work so the reader can see the continuous artistic and scientific development. Dr Edward Adrian Wilson is one of the best known of Cheltenham's native sons and one of the most widely respected naturalists, artists and explorers from the Heroic Age of Antarctic Exploration. Despite this, remarkably little has been written about him. In this exciting new work, Dr David M. Wilson, his great nephew, and David B. Elder, a local Cheltenham librarian, have collaborated to produce the first biography of Edward Wilson for many years. It is richly illustrated with photographs and paintings, many of which are being made available to the public for the first time. 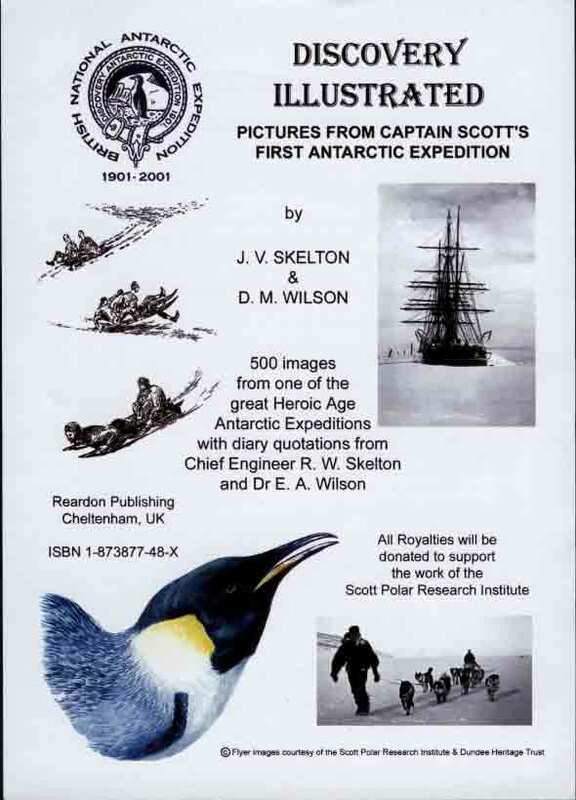 The book traces the Cheltenham roots of Edward Wilson's extraordinary life, identifies many of the local sights associated with him, and follows him through to his death with Captain Scott on the return from the South Pole in 1912. 144pp. 12 Colour Plates and over 100 black and white illustrations. 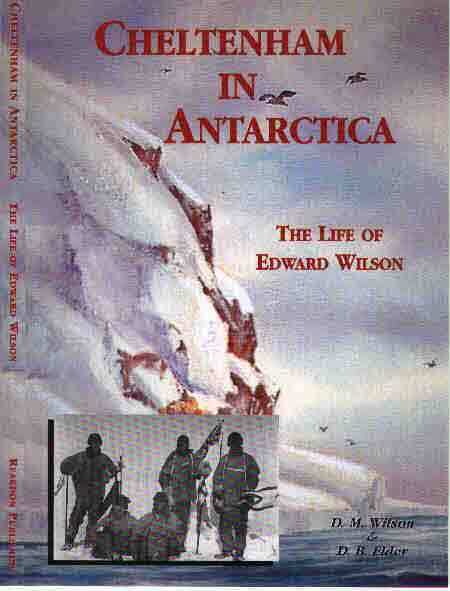 Cheltenham in Antarctica: the Life of Edward Wilson has rapidly become a popular title. Amongst the many favourable comments received, there have been numerous requests for a hardback edition. In addition to reprinting the paperback to meet demand, we have therefore produced a special collector's edition of this title. It is numbered, boxed, bound in leather, signed by the authors and limited strictly to 500 copies only. 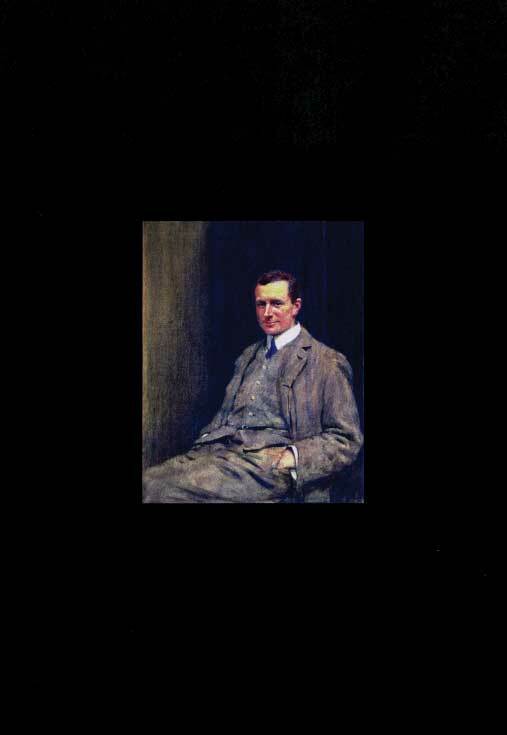 The front of this special edition contains a rare reproduction of the famous portrait of Edward Wilson by A.U.Soord. All together we believe that this is a beautiful book, that everyone will simply enjoy having on their shelf.